LEAD JUDGMENT: SAMUEL CHUKWUDUMEBI OSEJI, J.C.A. This appeal borders on Contract. This is an appeal against the judgment of the High Court of Delta State sitting in Bomadi Division and delivered on the 15th day of March 2005. Briefly put, the facts of the case are that the Respondent entered into a contract with the 2nd Appellant, Jonas Onuchukwu (carrying on business under the name and style of JONAH ELECT. ENTERPRISES) for the supply of 500 pieces of 10kg Exact Anchors to the Respondent. The contract was as contained in Exhibit ‘B’ which was a Local Purchase Order (LPO) No 101424 and dated 8/2/2002. It required the items to be supplied latest on 2/3/2002 and further provides that “Any delay LPO will be cancelled”. The 2nd Appellant sublet the contract to the 1st Appellant Mr Friday Osumili (carrying on business under the name and style of BULU ENTERPRISES). The 2nd Appellant claimed to have supplied the 500 pieces of Exactly built Anchor to the Respondent’s premises and thus requested for payment of the sum of N1, 500,000.00 which was the amount agreed in the contract. 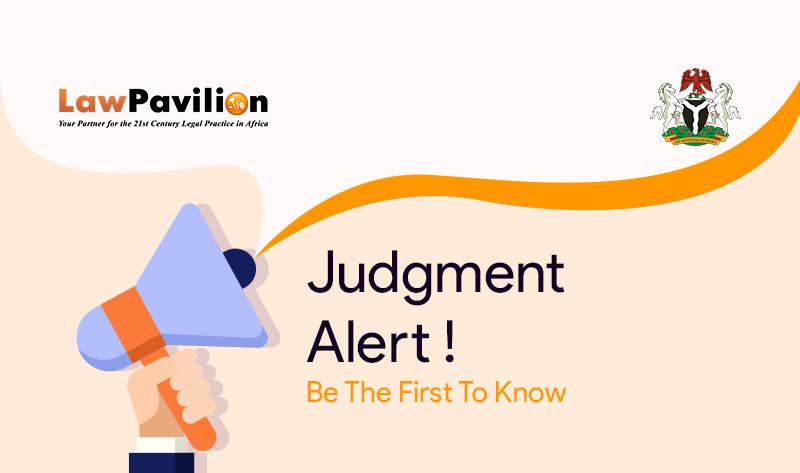 The Respondent refused payment because the items were not supplied within the time stipulated in the contract and also that there was no privity of contract between it and the 2nd Appellant. Sequel to this development, the 1st and 2nd Appellants initiated action at the High Court of Delta State via a writ of Summons filed on 12/6/2002. The Respondent reacted by filing a statement of defence and counterclaim. The Appellants also filed a reply to the statement of defence and counterclaim. Upon conclusion of the exchange of pleadings, the trial commenced on 20/1/2004. In proof of their claim, the 1st Appellant testified and tendered some documents. He also called one other witness. The Respondent, on the other hand, called three witnesses in its defence and also tendered some documents in evidence. At the conclusion of the hearing, counsel for the parties addressed the Court. Judgment in the suit was subsequently delivered on 15/3/2005 wherein the Court found in favour of the Respondent. Dissatisfied with the said judgment, the Appellants appealed to the Court of Appeal. Whether the learned trial Judge was right when he held that the plaintiff did not supply the anchors within time in view of the evidence adduced by the parties to the action at the trial. Whether the learned trial Judge made a proper evaluation of the evidence before it and drew proper inferences therein having regard to the evidence and state of pleading before it. Whether the learned trial Judge was right in law when he awarded general damages to the defendants/Respondents on the counterclaim. On the whole, the Court allowed the appeal in part. Except for the order awarding N10,000.00 as nominal or minimal damages in favour of the Respondent which was set aside, the judgment of the High Court of Delta State delivered on the 15th day of March 2005 was affirmed. EVIDENCE- EVALUATION OF EVIDENCE: Duty of trial judge to evaluate evidence and nature of the duty of an appellate court in reviewing such evaluation on appeal.